For me, that makes me think about summer reading. Ah, lazy summer days spent buried in a good book. So that made me think...do you actually have more time for reading in the summer? What types of books make fun summer reads? Do you sign your kids up for summer reading clubs? 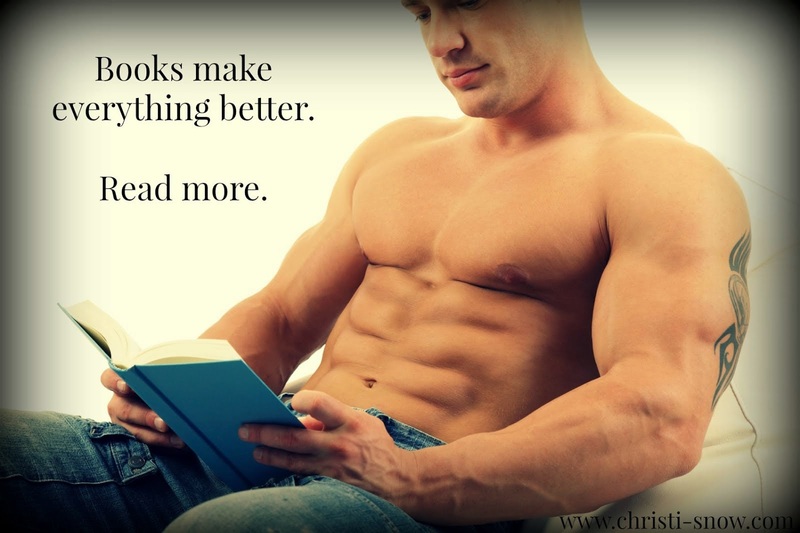 Have you read a good book lately that would be good for summer reading? Give us some recommendations! Give me some feedback....I wanna know your opinions!!! Personally, I love reading anytime and all the time....all year long, but most of you probably already know that about me. I do love those days when it's a bit cooler (I live in West Texas....summers are HOT here!) and we can take the blanket to a local park and sit under the trees and read. Yes, we actually do that pretty regularly in my family...we're all readers. I need to check into the local library and see what they are doing for reading clubs this summer. Kat, my 5 yo would love it. Maybe that will be our plan for today. Good morning, everyone!!! I adore Top Ten lists (Smexy has the best one every week) so I thought that with the new blog, it might be fun to incorporate them here. So here is my Top Ten for this week! And yes, I realize it's Friday, but this will start to be a Tuesday post within the next week or two. hehe. 10. I read between 7-10 books a week. Every week, I will include my favorite from the last week. This week's favorite is One Small Thing by Piper Vaughn and M.J. O'Shea. This is really sweet m/m romance. Two completely unlikely heroes and I fell in love with their story. You can see my review of it HERE. 8. And even more exciting...I found some nail polish that matches it perfectly... Sinful Colors Purple Diamond. 7. NaNoWriMo (Nat'l Novel Writing Month) is a month to write 50,000 words. It's intense. It takes place during November every year. But it works. November, 2011 is when I wrote Operation: Endgame. Well, in June and August this year they are holding Camp NaNoWriMo. I'm signed up for June and plan to finish Operation: Endeavor. I'm excited to start churning out 2000 words a day. It's been too long since I've been that productive. 6. Speaking of Operation: Endeavor, I wrote a really hot scene featuring Colton yesterday. I thought that merited another look at his character (just because I could look at his photo all day long...hehe!) Don't tell my dh, okay?? 5. I bought a new purse for summer. I love it. It's bright, fun, and huge...it easily carries my kindle, notebooks, and a book or two without looking overloaded. You have to be prepared. You never know when the urge to write or read may strike. 4. My favorite Pinterest Pin from this week. I just love how sweet this is and their expressions. You can tell they're having fun! 3. We have a new obsession in this house. We cannot wait for Brave to come out...June 22nd. 2. *gasp* I just caught a glimpse of Jaci Burton's newest cover, Thrown By a Curve (book #5 in the Play-by-Play series.) Gah, this series has the absolutely HOTTEST covers...and the books are good too!!! Thank you so much for your overwhelming support and excitement for me!! I feel like I've been working on everything I showed you yesterday forever (although in all rights, Amanda did all the work....hehe.) For now, I am working on a schedule for the blog here, so you'll keep coming back. What do you want to see?? Yes, hot guys are a given, but what else??? Book love always works too. I'll probably sneak in some excerpts every once in a while. The sight of Jake’s very naked, very defined, very gorgeous, very luscious chest drew her up short. He was wearing sleep pants low on his hips. She felt a shiver of awareness flare through her body. Right above the waistband of those pants was the ridged lines of his very defined 8-pack, topped off by his muscular pecs, shoulders, and biceps. Cassie’s eyes followed the line of hair which led enticingly from his chest into the waistband of the pants and her mouth was suddenly dry. “Ahem,” Jake interrupted her perusal. Cassie’s eyes flew to his humor-filled eyes and she realized she was basically standing there with her mouth hanging open at the sight him. She was busted for gawking at his gorgeous body. Cassie felt her cheeks flood with embarrassment, and decided the best tact may be to pretend she hadn’t been drooling over him. “Do I smell coffee?” Her voice sounded scratchy, but could be attributed to her over-indulgence from last night instead of lust at the sight of his gorgeous half-dressed body. So, now I want to hear from you....What do YOU want to see and hear about???? Today, I do my final round of deep edits on Endgame. I have an editor, the extremely talented and insightful Sarah Negovetich. She's been so incredible about pointing out the small holes in my book. I finish patching those today. I feel like I've said it so many times already, but it is truly almost complete. After this, I will read through it one-three more times just to make sure everything flows correctly and that I am not missing words. Then I will send it to my proofreader. But without a doubt, the best money I've spent (well besides hiring my incredible designer, Amanda) has been to buy Catherine's book on Self-Printing. Not only is it incredibly entertaining (and I rarely say that about non-fiction books), but it lays out everything you have to do during this process in simple basic steps that even I can follow....and I am so not tech savvy! I am trying to take this whole process slow for this first book so that I make sure I do it right and that you all receive a quality book. So the goal is still a September release date. Besides the book takes place during Christmas. You need to read it when we are getting close to that season, right?? I promise, it will be worth the wait!! Huge KUDOS and THANKS to my awesome graphic designer, Amanda Matthews from AM Design Studios. Everything you see here...from those gorgeous covers to the entire website is her work. She's incredible to work with and I HIGHLY RECOMMEND HER!!! She does it all and she does it well!